Michael Gustafson from Literati Bookstore. Kathleen Hiraga is the founder of Pop-Post. 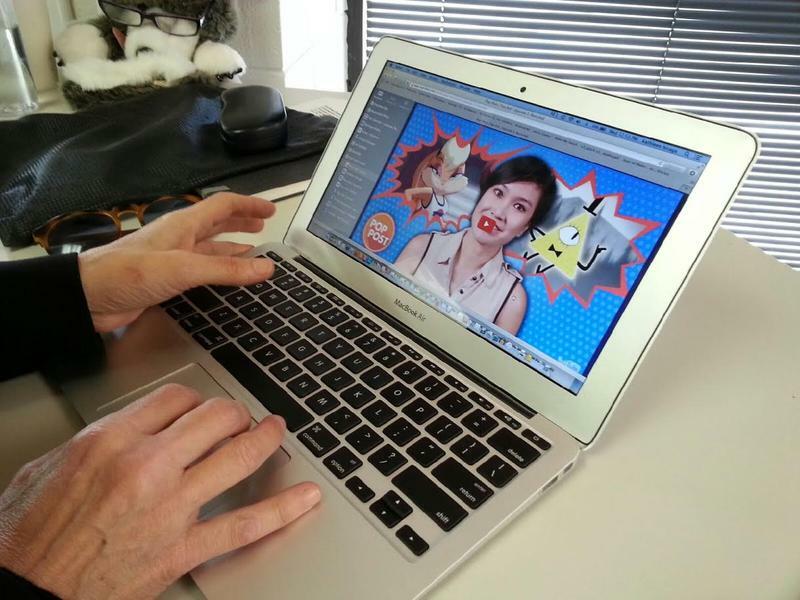 Kathleen Hiraga works on her website Pop-Post. Linh and Dug Song say being part of the community they live in is important to them. 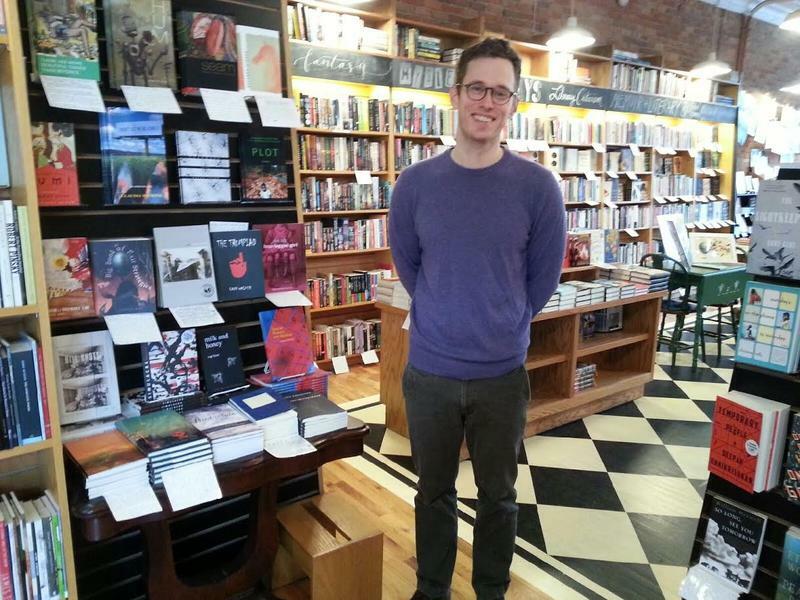 Michael Gustafson types a message about Ann Arbor at Literati Bookstore. "As somebody who has lived in Los Angeles and Chicago and New York and Brooklyn, I can say that Ann Arbor is a great place to live." 34-year old Michael Gustafson is not alone. The U.S. Census Bureau estimates that 117,000 people live in Ann Arbor. Michael and his wife moved from Brooklyn in 2012 after online accessibility drove Ann Arbor-based book retailer Borders out of business. So, the couple decided to open Literati Bookstore downtown a year later, knowing that the market for an independent shop was there. "They not only want to return to the browseability, to what a brick and mortar bookstore offers, but they also want to know when they buy something where that money goes. I think that a lot of times when a customer shops online they are unclear of where the money then goes. Does it go somewhere else? Does it go the coast? Does it go to a CEO? Does it go offshore? 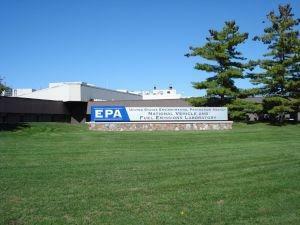 With here, most of the money that is spent here goes right back into the community." Like the Gustafsons, Ann Arbor native Kathleen Hiraga ventured out into the other parts of the country before coming back home. She helped launch MTV in the 80's in New York and recently started the website Pop-Post. "Well, Pop Post is a platform for a female content creators in the animation, gaming, and comic space." 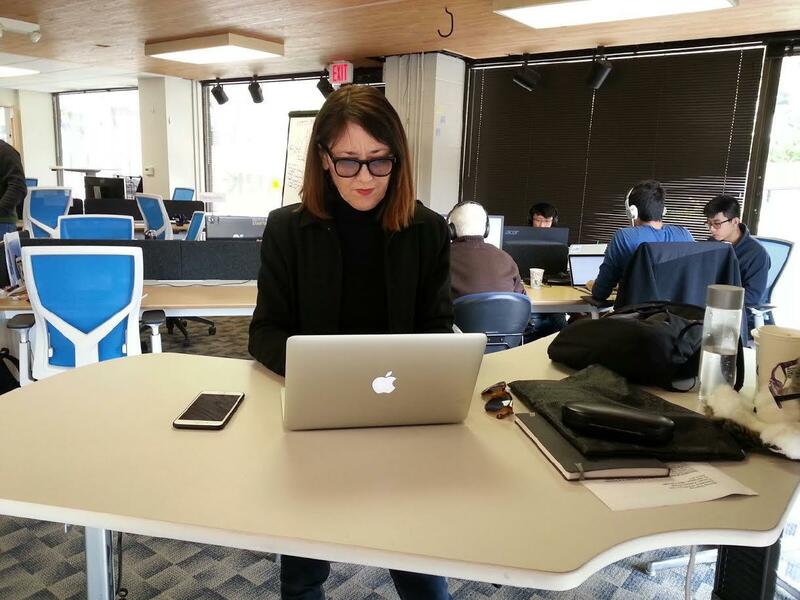 During the workday, you can find Hiraga in her office near Ann Arbor's Liberty Plaza. It's a place, she says, is competitive with bigger cities and with advantages of its own. "LA and New York have just become so expensive and untenable in terms of just day-to-day. Ann Arbor has really caught up, I think, to being a small version of some of these cities. I think that it offers as much in a lot of ways as a lot of these other cities, San Francisco, L.A. It's certainly of the scale and the access to some of the studios and bigger companies. But I found that incubating a company here with the resources and the talent from the University of Michigan was a great opportunity." While the city itself is an attractive draw, there is no mistaking the importance of the University of Michigan. Dug and Linh Song are some of the talent that has come out of there. Dug originally comes from Maryland but. after graduating from school. decided to stay in town, where he co-founded Duo Security. Linh is from Dearborn, and she now is an elected member of the Ann Arbor District Library Board of Trustees. "We made a commitment to this area." The Songs say it's important to them to dedicate time and resources to create positive community impact. 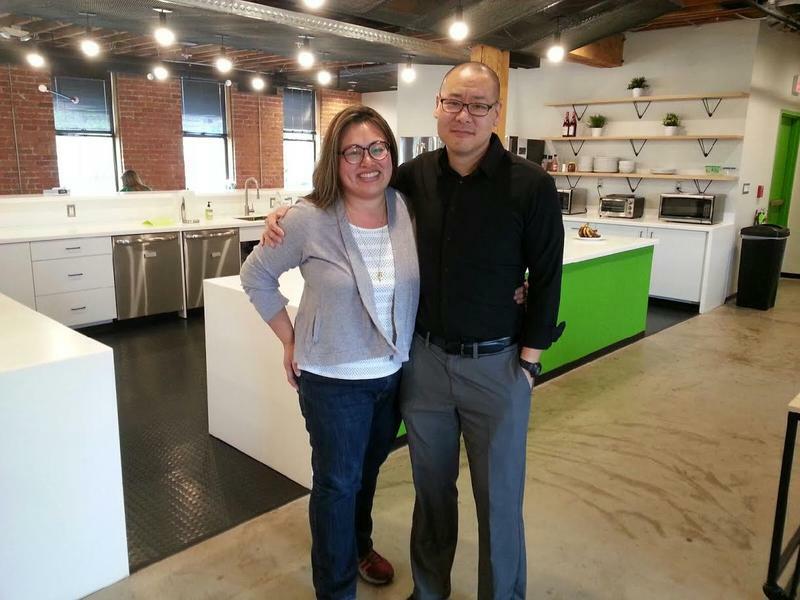 Linh raises funds for the nonprofit Ann Arbor Educational Foundation. Dug co-founded and helped lead the effort to create the Ann Arbor Skatepark. He says that's an opportunity that would've been difficult to create in a place like New York City where they considered moving permanently. "And I think that's uniquely possible in a way here that you can't do in the coast because everything has already been done there. There is no room to grow, nowhere to go, nothing to do. Everyone is like crabs in a barrel just climbing over each other in New York City, San Francisco, or whatever else." Linh smiles as they reminisce about their experiences with the Ann Arbor District Library during and right after college. "When we were starting out here, when we were young and trying to explore the city it was a place where we could check out an art print and hang it in our ratty apartment and we imagined ourselves living in a real house one day. It was a place for us. Dug introduced me to comic books. I had never read graphic novels before, it's like a cultural experience, or independent movies. A library is a temple of learning. What it actually is, it's about providing a platform for equal access to all that stuff, to culture, to learning to knowledge, to all these things." 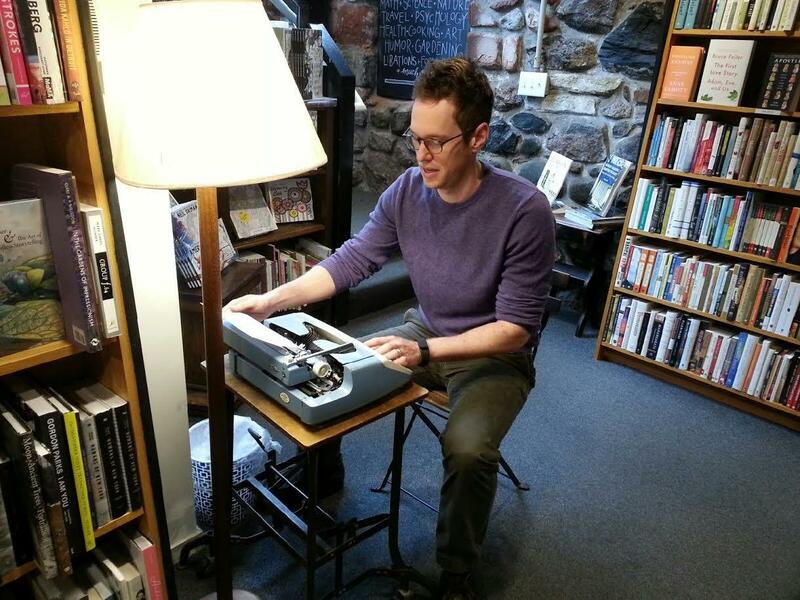 Back at the Literati Bookstore, Michael is typing a message about Ann Arbor on an old-school typewriter. In the age of computers, Michael makes the typewriter available to customers who want to create short messages that are later posted on the bookstore wall. I ask him to read what he wrote. "I love living in Ann Arbor because the people who live here support the places and the businesses who might struggle elsewhere. Living here and growing this business has been a dream come true and it's because of you, Ann Arbor." A love letter to Ann Arbor, indeed. 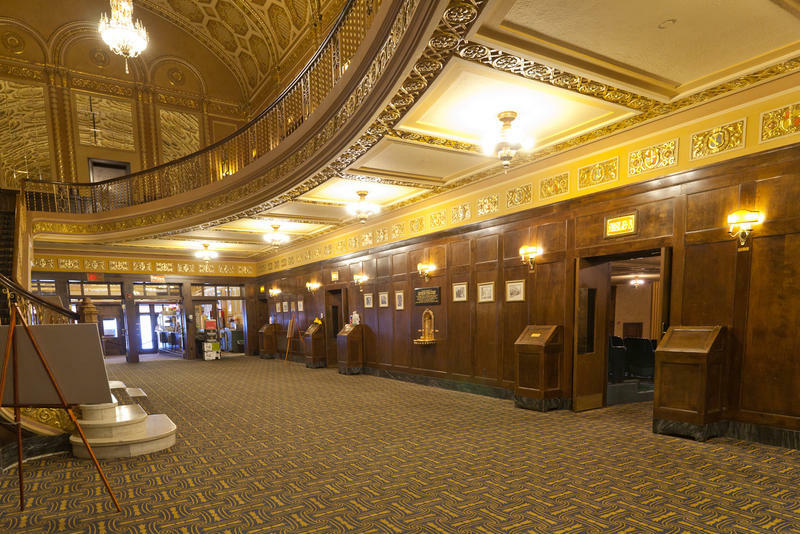 In this week's "Cinema Chat," WEMU's David Fair talks to Michigan Theater executive director Russ Collins about all the movies returning and making their debut this weekend. Plus, they give the latest news on the upcoming Cinetopia Film Festival!